A very interesting and provocative piece in this week’s NYT argues that some vegans place too much emphasis on ideological purity, at the cost of missing more prosaic opportunities to tangibly advance animal welfare. As usual for this topic, the comments section devolves into pretty lame arguments and invectives directed against veganism (including the perennial favorites, “but humans evolved to eat meat” and “what are you going to do with all the cows, then?”). That’s a shame, because the piece raises interesting issues that go far beyond veganism, and it connects to a major issue in philosophical ethics, the “dirty hands” problem. Roughly, this is the question of whether – and when – it’s acceptable to engage in ideological or moral compromise for the greater good. It’s especially relevant for political ethics: might a politician be justified in engaging in morally obnoxious acts in the short term to advance a noble long-term political agenda? To give just one example, as part of the Good Friday Agreement in Northern Ireland, many paramilitaries who were serving prison sentences for planning or carrying out acts of violence were given an early release, while suspects on the run were set “comfort letters” assuring them that they would no longer be prosecuted. Was it right to waive the normal demands of criminal justice for these individuals, some of whom had participated in horrible acts? It’s a very tough call, especially when it comes to politicians: on the one hand, as agents of the state, they have a special burden to operate within the confines of justice and the law; and yet, on the other, their actions can have such massive consequences that it’s not hard to see how the demands of personal morality might seem to be outweighed in the cause of some greater good. (fellow Star Trek fans take note: this whole debate is brilliantly and subtly explored in one of the highest-rated episodes of all time, the classic ‘In the Pale Moonlight’). What about the case of individuals like you and me, who are striving to advance a political cause? Should we work with people whom we take to fall short of our standards, in the name of advancing our goals? Here, I’m inclined to agree with the authors of the piece in the NYT – a focus on ideological purity certainly isn’t always our biggest priority. I think of this as a pragmatic issue: there are some causes that can and should be won one battle at a time, and others that can only be won by bringing about a paradigm shift in the views of society at large. The development of representational government in the UK probably fits the former model, whereas the abolition of slavery fitted the latter. 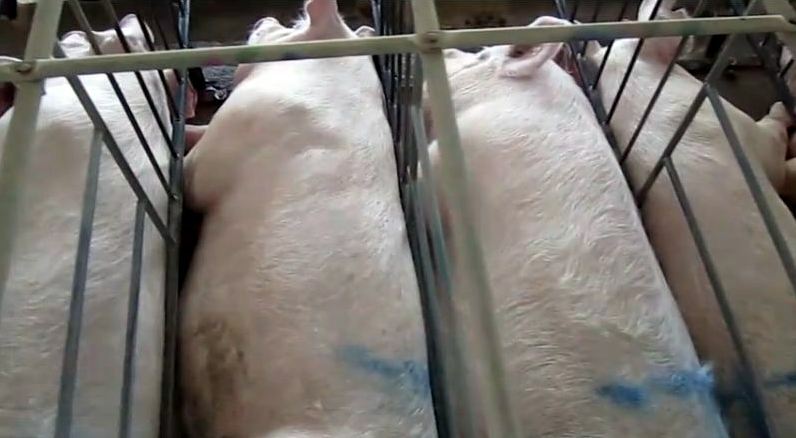 Of course, a hybrid strategy may also be possible – animal rights activists can simultaneously declare that they’re striving for an end to all animal farming, while focusing their energy on more attainable policy goals like banning sow crates. The worry there, though, is that highly charged ideological statements can alienate potential allies, and make it harder to build effective political coalitions. I think this is also a problem for the liberal left in the United States. It makes it harder to work with Republicans if we’re loudly decrying the party for harboring people with racist and misogynist views, or accusing Republican voters of being manipulated by kleptocratic elites (even if, in our heart of hearts, that’s what many of us believe). For both vegans and leftists, I can see the merits of a more circumspect – albeit less honest – approach to achieving our policy goals.